If you want to pamper yourself by buying luxurious brands, you are in the right place. Singapore houses many luxurious brands that will surely make you happy. Shopping in Singapore is a delight for shopaholics and fashion aficionados. If you are in Changi airport, you can find stores that sell luxurious brands. The airport offers duty free shopping. Shopping in Changi will surely delight you. 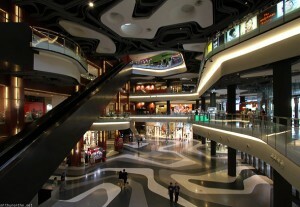 The mall’s interior and exterior speaks of luxury and sophistication. Paragon Shopping Centre has six levels that sell different luxury brands and high class apparels. It is a common destination for fashion aficionados. If you are in Ngee Ann City, look for Takashimaya. Takashimaya is a Japanese store chain that sells designer labels and international brands from children’s clothing to adult’s sportswear. It also sells cosmetics, accessories, music, etc. If you want to experience world class shopping, The Shoppes at Marina Bay Sands is the perfect place. The structure purely speaks of luxury and elegance. You will enjoy the experience and you will come back for more. If you are in Orchard, you should go to Ion Orchard. The mall is currently considered the largest in Singapore. You will surely appreciate it. It features designer label shops and international brands. Singapore also presents cheaper but very reliable brands. There are many malls that you can visit. Happy shopping!